You can use Jenoptik liquid crystal light modulators to control optical characteristics safely and reliably without mechanical moving parts. Liquid crystal light modulators are excellently suited for modulating the phase, amplitude or polarization state of a light wave. They are based on the electrical control of optical properties of a nematic liquid crystal layer. 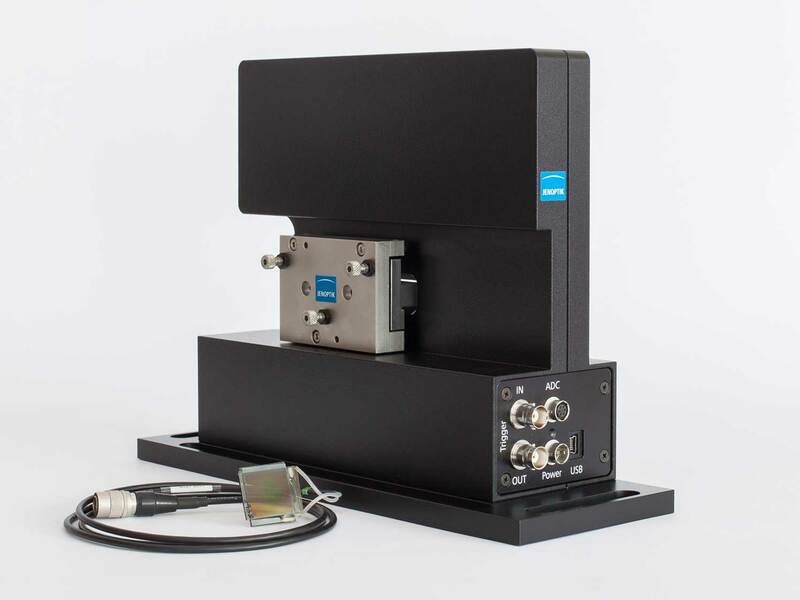 An example of the capabilities of our liquid crystal laboratory is the SLM-S spatial light modulator based on a linear array of individually controllable strips. The modulators work for light in the 430to 1600nanometer wavelength range. They are equipped with a single-mask or a dual-mask array. The dual-mask array makes it possible to control the phase and amplitude simultaneously and independently. Each of the 320 or 640 strips can be controlled separately with 12-bit resolution. All SLM-series liquid crystal modulators are easy to connect to your computer via USB. On request, we manufacture customer-specific light modulators that are precisely adapted to your individual requirements, including electronics development.